Wow! April of 2019 is busy down at Lake Mead National Rec. Area. Here’s the list for you below. Take a moderate to strenuous guided hike through Lake Mead National Recreation Area’s Bowl of Fire March 30. Observe the colors while wandering among a variety of Aztec sandstone formations that are scattered through the Bowl of Fire. For more information and to make a reservation, call 702-293-8990. Dogs are not permitted. Around 70 yachtsmen will participate in a series of boat races on Lake Mohave April 5-7. For more information about this permitted event, contact 702-293-8931. Join a ranger April 6 to help clean part of Lake Mead National Recreation Area for the Great American Cleanup. For more information and to make a reservation, call 702-293-8714 or email LAKE_Volunteer_Coordinator@nps.gov. Join a botanist April 13 to help collect native seeds to grow in our native plant nursery. Space is limited to the first 18 people. For more information and to make a reservation, call 702-293-8714 or email LAKE_Volunteer_Coordinator@nps.gov. Around 1,000 athletes will compete in the Rage Triathlon April 13. 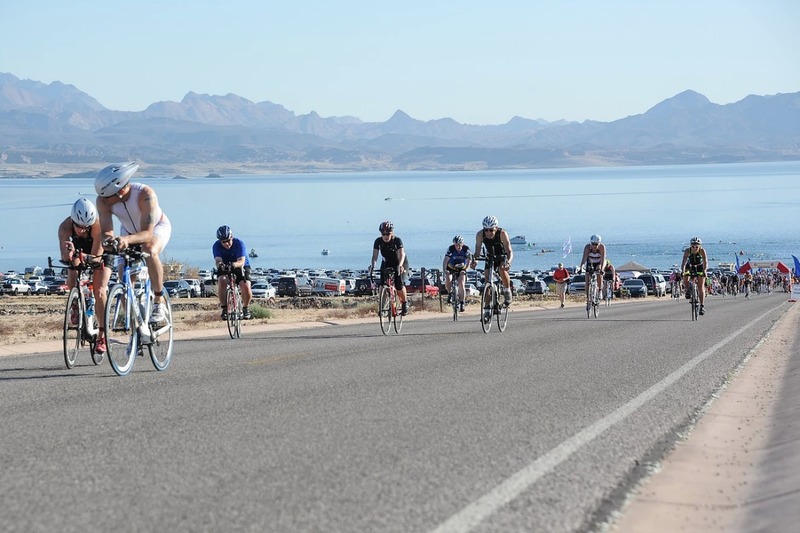 Rage is one of the biggest triathlons at Lake Mead, featuring a Sprint and Olympic distance triathlon. The race will begin with a sunrise swim at Boulder Beach, followed by a hilly bike course along Lakeshore and Northshore roads and a run along the River Mountains Loop Trail. Visitors to Lake Mead may experience delays. During the race, the bicycle course in Lake Mead National Recreation Area is an open road. Please use caution when driving alongside cyclists. Share the road, and do not pass in no passing zones. Cyclists are reminded that they must bike in single file on the roadways. Cycling abreast is not permitted with Lake Mead National Recreation Area. For more information about this permitted event, visit https://www.bbsctri.com/rage. Join a ranger at 1 p.m. April 14 for a wildflower walk near the Lake Mead Visitor Center. Learn about the blooms that bring color to the Mojave Desert. For more information, call 702-293-8990. Entrance fees will be waived at Lake Mead National Recreation Area April 20 in celebration of National Park Week. Fees for camping, lake use or use of concessions still apply. National Park Week is an annual celebration for people to discover and enjoy America’s network of natural, cultural and recreational sites. Everyone is encouraged to find their connection to national parks. Visitors can follow Lake Mead National Recreation Area’s social media channels throughout the week or use the below hashtags to share their experiences each day of the celebration. facebook.com/lakemeadnps, Twitter: @LakeMeadNPS, Instagram: @LakeMeadNPS. Lake Mead National Recreation Area invites families to join rangers for the 13th annual Junior Ranger Day from 10 a.m. to 2 p.m. April 27 at the Lake Mead Visitor Center. Junior Ranger Day is held annually during National Park Week to inspire the nation’s youth to enjoy, learn about and protect natural resources.